With tight schedules and the ever-changing weather conditions, going to the gym might not always be a convenient move. However, there is a need to keep fit, maintain low levels of calories and burn out fat. Having a solution to help you keep fit and maintain your schedules at the same time is a necessity. Owning a treadmill at home is the perfect solution, it will save you the time consumed to visit a gym. Treadmills offer you workouts in equal measure as gyms. Here is a list of the best treadmills to use at home. This is Reebok’s second version of the Z8 Run treadmill. It has improved features to make it more convenient for users. • Maximum user weight of 120kg. • 2.0HP power-motor with a speed range of 1-16km/h (10mph). 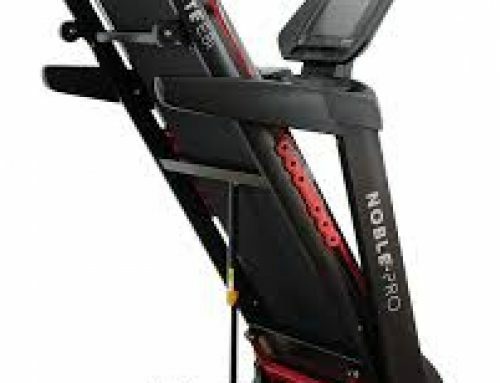 • 12 electronic incline levels. • 41×126cm running deck with advanced cushioning. • 24 fitness programs with 7-user options. • Integrated hand pulse sensor. • Integrated speakers and 3 LED windows. • 165×74×143cm length, width, and height measurements when in use. • Folding mechanism. 102×74×143cm length, width, and height measurements when folded. • Profile function for speed, pulse, distance, calories burned, chart, and inclination. • 2-years labour and parts warranty. • Adequate speed provisions for any workout intensity; high sprinters and short distance runners. • Low noise levels due to the installed noise controller. • You can enjoy your favourite motivational tracks through the inbuilt speakers making fitness goals easy to achieve. • The profile functions enable you to monitor your progress since they provide detailed feedback. • Easy to assemble. The treadmill comes with assembling instructions. • Spacious and can accommodate users with heavy weights. JLL T350 is a perfect treadmill for enthusiastic and advanced runners as well as beginners. • 2.5 HP motor with a speed range of 0.3 to 18 km/h. • 20 pre-set workout programmes. • Bluetooth connectivity (iPod, MP3, iPhone) and USB interface. • Foldable with a 16-point cushion deck system. • 120kg maximum user weight. • 2 years parts and labour guarantee. • 5 years of motor cover. • 5-inch LED display for distance, time, heart rate, speed, and calories. • Low noise levels as cushions minimize sound in every step. • A large amount of space for the workouts. • With the inbuilt speakers and Bluetooth enhancement, you can play music without having to use earphones. • Stable to accommodate heavy weights up to 120kg. • Ability to monitor progress. • Easy to assemble and fold due to the presence of soft-drop system. • 3 of the pre-set programs can be customised to your own taste. You can, therefore, have control over your workouts. This is a new model from Prestige Sports. It has a convenient design and offers high performance. • 1100W motor with a maximum speed of 12km/h. • Inbuilt magnetic safety key. • 1 manual program and 12 pre-set programs. • An LCD display system for heart rate, calories, time, distance, and speed. • 100cm×40cm running belt with sufficient space to walk, sprint, and run. • In-built speaks with iPhone and iPad compatibility. • Drink holders and towel rail. • Maximum user weight of 110kg. • 2year Warranty on parts, motor, and frame. • The treadmill shuts off immediately when there is an emergency. This is facilitated by the magnetic key. • You can easily monitor your progress. One also has control over speed. • The running belt has an Auto-Lube system that facilitates easy lubrication. • XM-Pro III has low noise levels. • It has transport wheels and a folding design that makes it easy to assemble, fold, and store. JLL S300 is a fantastic option for any family. • 4.5HP power motor with a speed range of 0.3 to 16km/h. 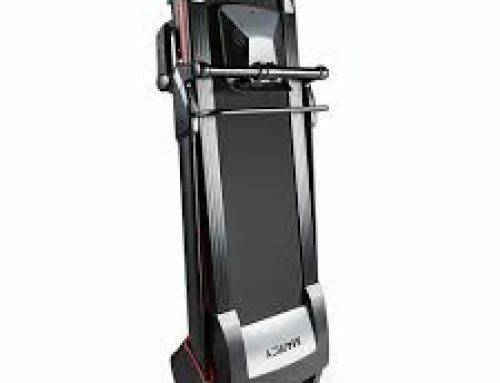 • Up to 20 incline levels. • 5-inch LCD display screen showing time, speed, distance, calories, and heart rate. • 15 auto-set programmes and 3 customisable programmes. • High-powered in-built speakers with USB interface and connectivity to MP3 for your iPhone and iPad. • 16-point cushion deck system. • Transport wheels and workout area of 41cm by 123cm. • Parts and labour warranty of 2years and a lifetime guarantee for the frame. • Ability to easily monitor progress. • Easy to assemble and fold. • Speed range can accommodate anyone; beginners and advanced runners whether it is jogging, walking or running. Although it is a great choice for users on a tight budget, HOMCOM offers you an amazing workout. • 125 by 63.5 by 113cm length, width, and height dimensions. • Speed range of 1 to 10 km/hr. • A multi-functional LCD monitor that displays calories, time, heart rate, distance, and speed. • Tablet and water-cup holders. • Foldable and has a maximum user weight of 120kg. • It is safe to use. Emergency stop button brings the treadmill to a stop in case of danger. • Convenient for use at home for its low-noise-motor. • It is simple and saves on space. Easily foldable. • You can entertain yourself with your tablet as you do the workouts. • Easy to monitor your progress. • Good for users pursuing weight loss. This is a premium treadmill from one of the leading manufacturers in the industry, Branx Fitness. • Deck area measuring 140cm by 48cm. Assembled dimensions; 190cm (L) by 80cm (W) by 132cm (H). • Inbuilt speakers with MP3 input and Bluetooth connectivity. • 6.5HP motor with a maximum speed of 21km/h. • 10-point cushion absorption system. • Incline buttons with 22 electronic inclination levels. • 5.5-inch LCD Display showing speed, distance, pulse rate, calories, and time. • 160kg maximum user weight. • Foldable with 82cm (L) by 80cm (W) by 150cm (H) fold dimensions. • Noiseless. Only the sound of your footsteps is heard which is also not loud. • Effective in high-intensity sprint intervals in your hill workouts. Enhanced by the 22 inclination levels. • Efficient for high-speed sprinters. • Hydraulic supported folding mechanism making folding easy. Premier Fit T330 is a high-end running machine that has great features and quality performance to offer to users. • 4.5HP motor with an adjustable speed range of 0.8 to 16km/h. • 20 electric inclination levels. • Multi-point cushioning absorption system. • Inbuilt speakers and a headphone output. Also integrates USB, SD, or AUX inputs for your music preference. • 12 pre-set and 3 manual programs. • 2year warranty on parts and frame and a lifetime motor warranty. • Great music emphasis. You can get your preferred entertainment as you do your workouts. • Considerate speed for high-intensity runners and beginners; walking, jogging, or short runs. • Comfortable running experience due to the shock absorption system built in. 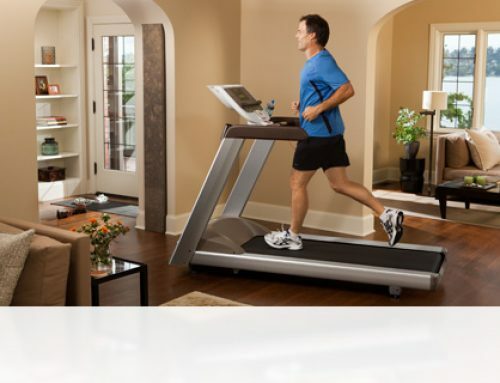 Fitnessclub is a home treadmill that is promising for its quality features and performance. • Maximum user weight of 100kg. • 500W motor and a maximum speed of 10km/h. • LED Display screen showing calories, pulse rate, speed, time, and distance. • Emergency stop switch in case of an emergency. • 0-10% fixed electric inclination. • 120cm (L) by 60cm (W) by 120cm (H) dimensions. • Low-noise motor making it convenient for home use. • It is cheap and easy to assemble. • Easy movement and storage facilitated by the inbuilt wheels and folding features. • A great choice for joggers, beginners, and short runners. 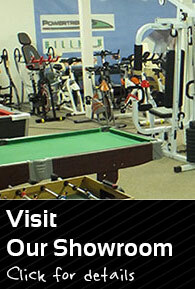 Nordic Track C100 offers great commercial-gym features which a reliable for your home. • 2.5CHP Motor offering a speed range of 0 to 20km/hr. • 125kg maximum user weight. • Flex-select cushioning that is adjustable. • An electric incline of 0 to 10%. • 20 auto set programmes. • LCD Display showing statistics for incline, distance, speed, time, and heart rate. • 140cm by 51cm deck running area. • Minimized noise levels. It is quieter than many treadmills. • Adjustable speeds enable one to make a choice any time on whether to run, walk, or jog. • The design saves on space. Also easy to assemble and fold. • Great choice for overweight users. • Offers a large running area for those who prefer large space for workouts. York Active 120 is one of York Fitness manufactured treadmills that are convenient for home workouts. Great features and high performance are offered by this treadmill. • A 5-inch LCD display with backlight. • Deck running area of 41cm by 120cm. • Speed range of 1 to 16km/hr. • An electric incline of 0-12%. • 13 pre-set programmes with an analyser for body-fat. • Hand pulse sensors and Touchscreen Console. • Hydraulic-assisted fold-up and fold-down system. • Dimensions; 164cm (L) by 73cm (W) by 129cm (H). • Ideal for beginners and intermediate users. • Easy to transport and store for its four-inbuilt wheels and folding system. • Monitoring of your progress is made easier. • Comfortable and fun in your workouts enhanced by the elastic-cushioned deck.